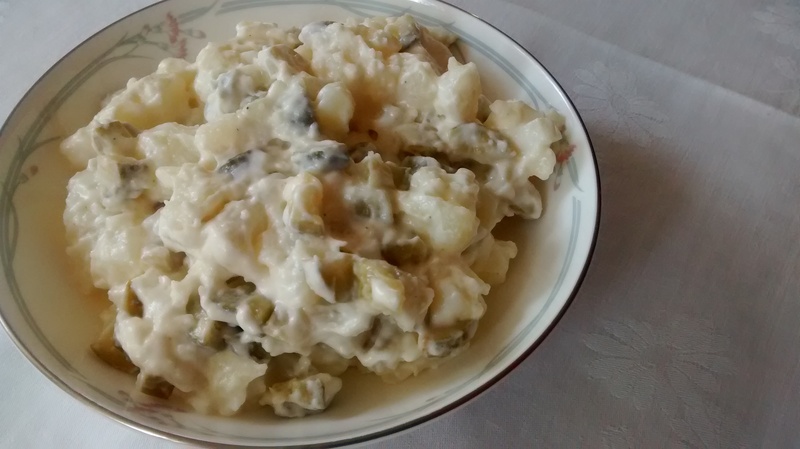 I have written about Polish pea soup which is usually made with yellow split peas. 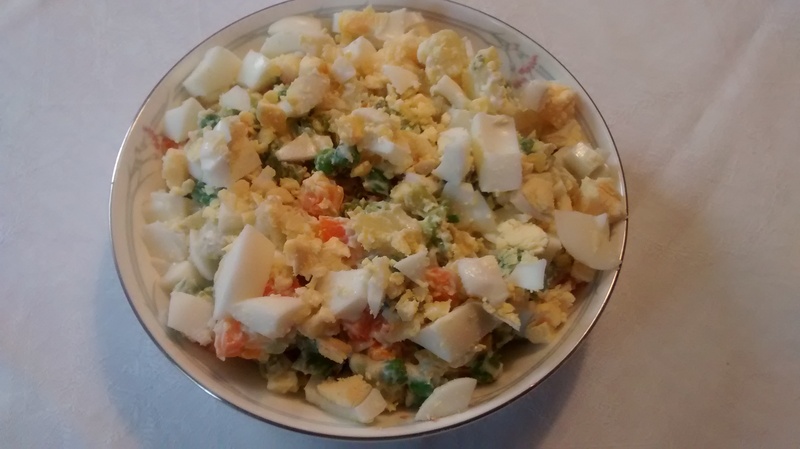 My mother could not always get yellow split peas and sometimes used Marrow fat peas. My Dutch friend in The Netherlands often talks about Dutch pea soup which is made using Marrow fat peas or green split peas. 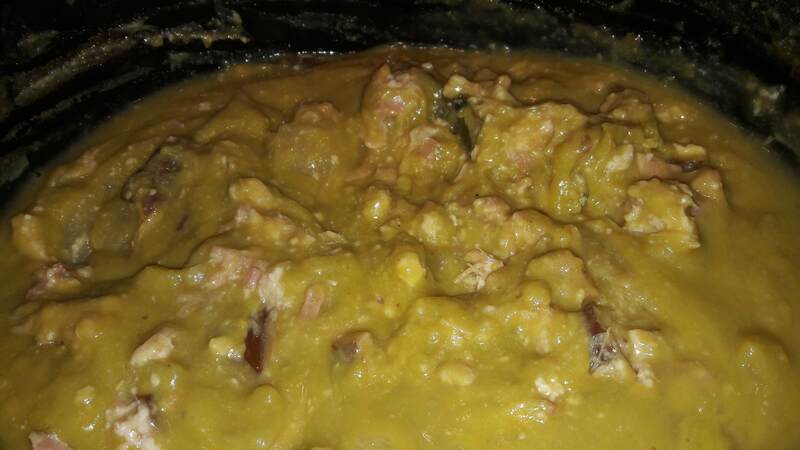 The Dutch soup tends to be made as a much thicker soup and pork, such as a chop or pigs’ trotters, is often used and also as smoked bacon or ham; potatoes are often added as well. 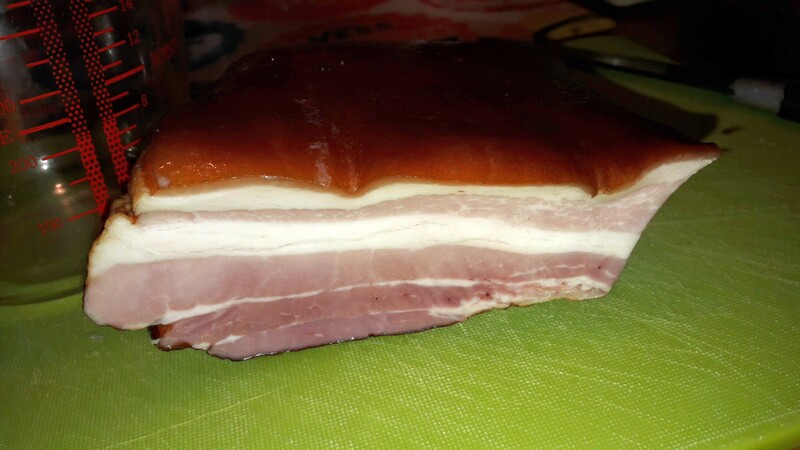 I have made my soup more on the Polish thinner side and used a chunk of smoked Polish bacon. 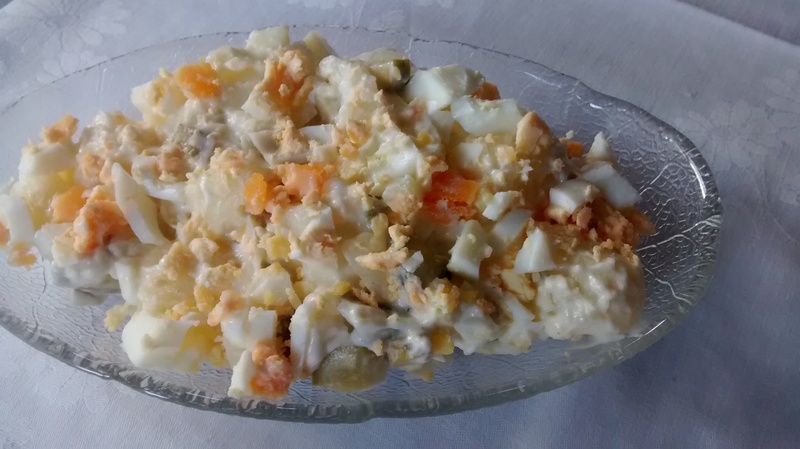 – You can use smoked gammon or smoked bacon – use it in large pieces – cut it up after it has been cooked in the soup. 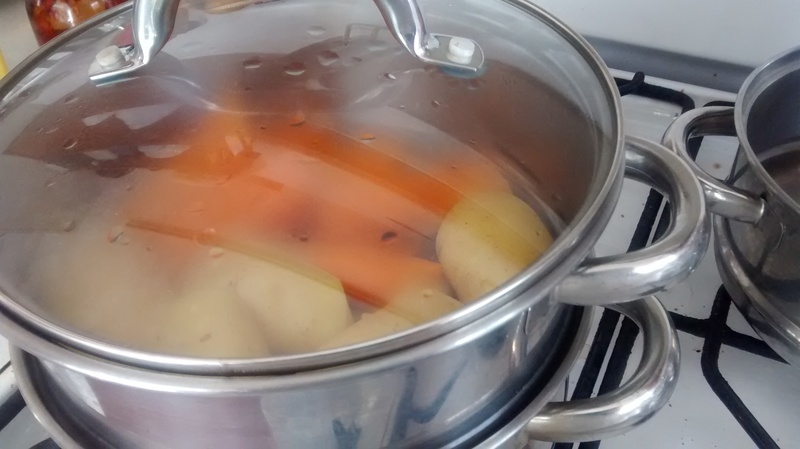 2 litres of vegetable stock (can be from a cube or powder – I often use Marigold powder). 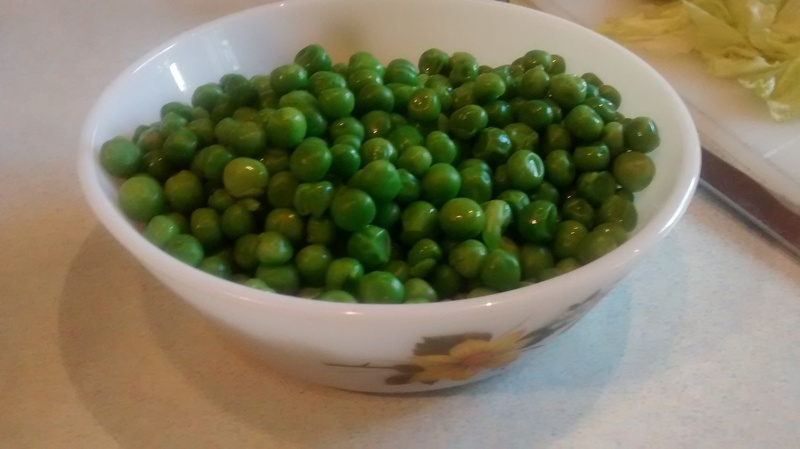 Put the marrow fat peas into a large bowl with around 800ml of boiling water poured over them and leave overnight. Some instructions say to add bicarbonate of soda to the peas – I prefer not to. The following morning, drain and rinse the rehydrated peas. 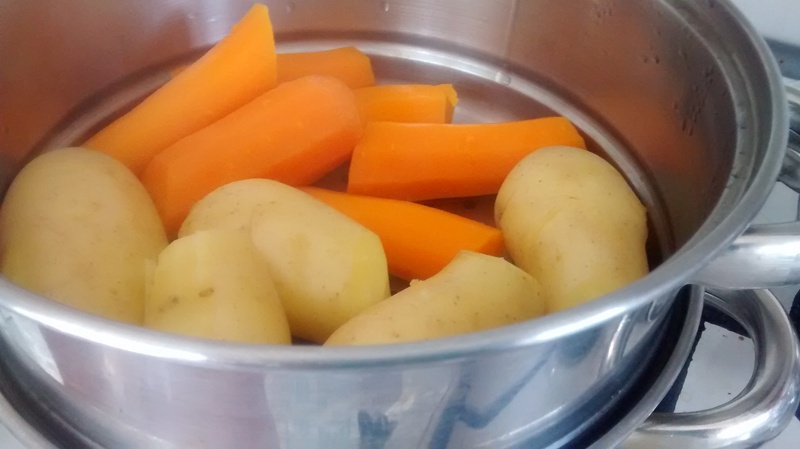 I have started using my large slow cooker to make soups – you can also use a large stock pot and once brought to the boil, leave it to simmer on the stove or in a low oven. 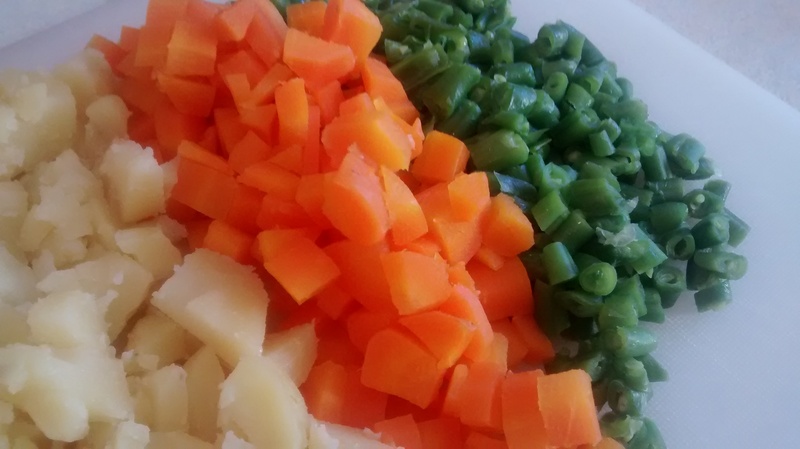 Place all the ingredients into the pot and switch on and leave to cook for 4 – 5 hours until the peas have cooked to a soft pulp. You might want to add some boiling water and stir the soup if it has become too thick. Remove the piece of bacon and chop or shred the meat, then put it all back into the soup, stir and heat for a few minutes before serving. You can use the cooked meat on for example in sandwiches and only put part of it back into the soup. 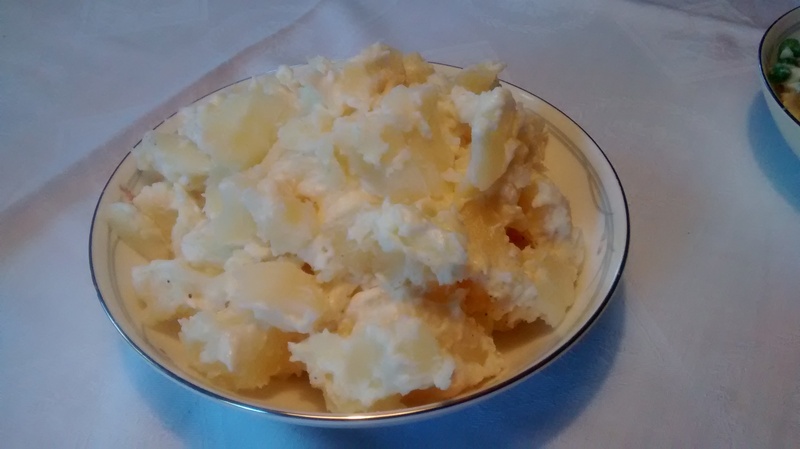 Served here with scalded rye bread on tea plates by Taylor and Kent of Longton. 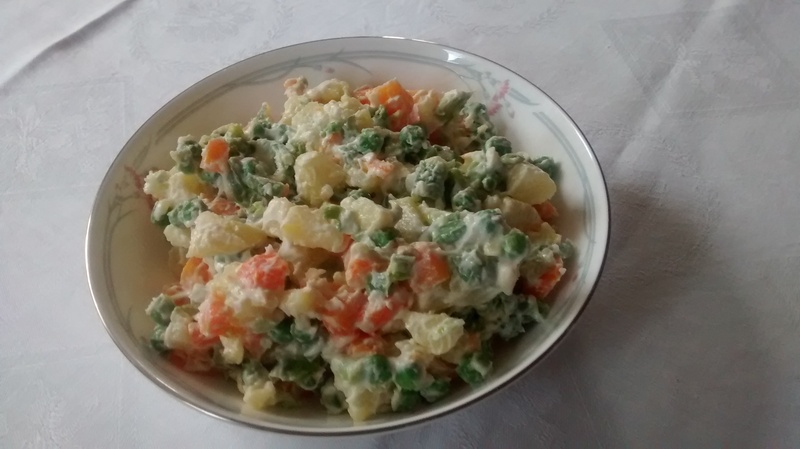 As version 1, but use 300-350g of green split peas. 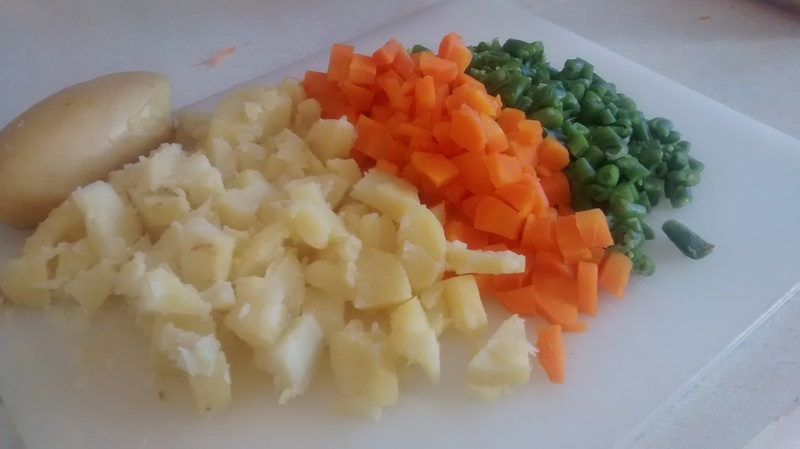 The split peas do not have to be soaked overnight, just use then as they are. So this is much quicker to make as there is no overnight soaking. 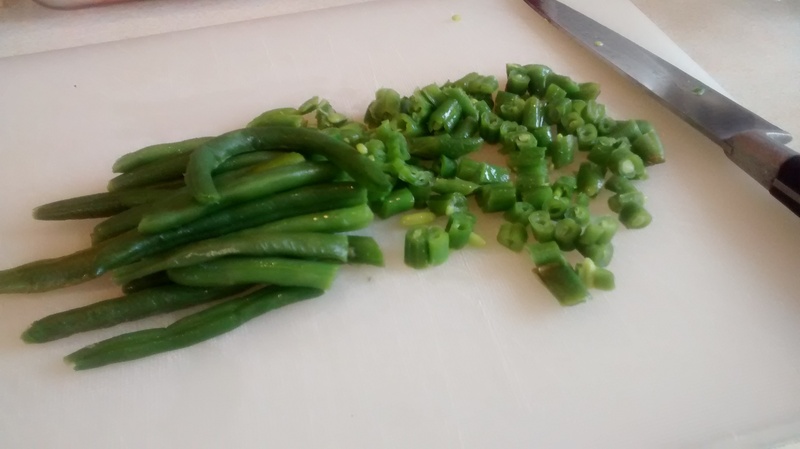 You can add some chopped chives or the green part of spring onions before serving. 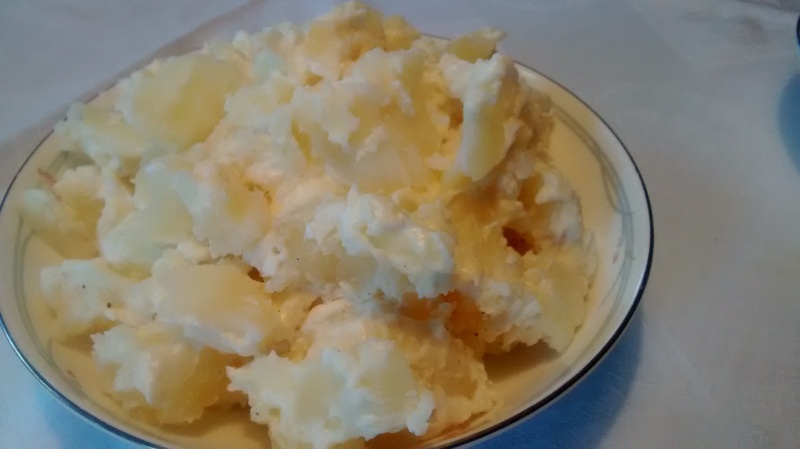 I have found that these soups freeze very well – portionned up into tubs for future use. Pisum sativum is groch in Polish and pea in English. The pea belongs to the legume family, the plant family with pods as fruit and from the botanical point of view the pea pod is a fruit, the round peas, the seeds, however from the culinary point of view it is classed as a vegetable. Peas are recorded in the Middle East over 4,000 years BC. Dried peas were the stables of Mediaeval cooking in Europe. 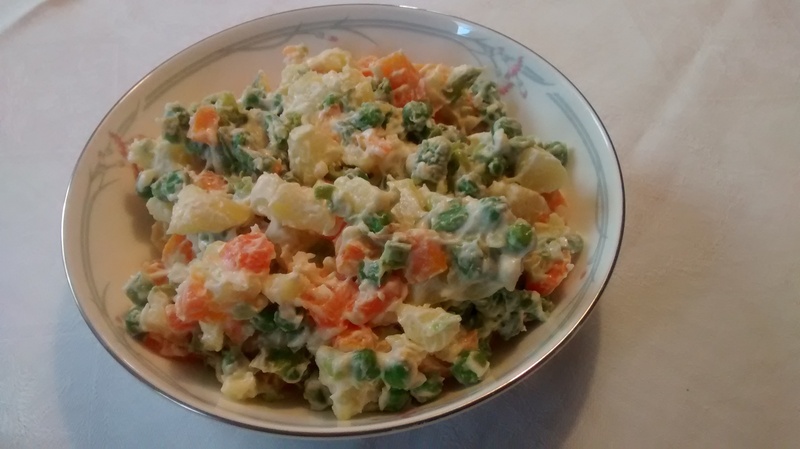 The eating of the fresh green peas is a fairly modern idea – it started for the rich in the 17th & 18th centuries. Mangetout (eat all in French) is a pea variety with an edible pod The idea of eating the immature pea pods was known in the 17th century in France. They only became popular in the UK in 1970s. 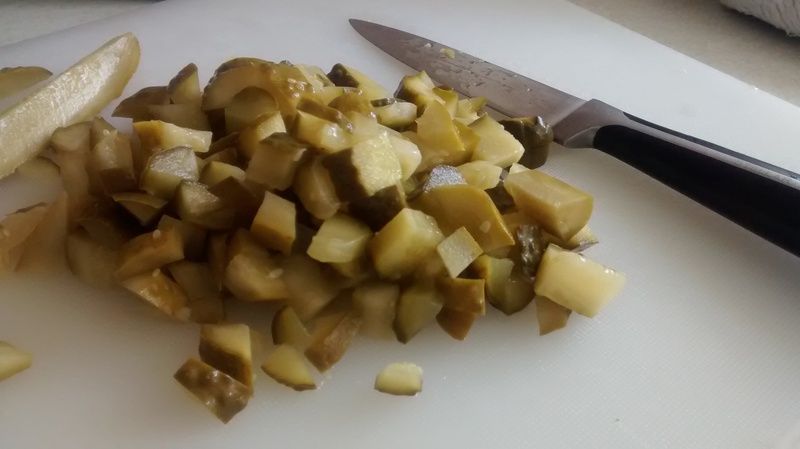 Marrow fat peas are a variety of Pisum sativum called medullare. They are sold with their skins still on and are often cooked with bi-carbonate of soda which helps break down this hard to digest skin. Split peas come as yellow & green – these are dried peas with the hard to digest skin removed and then the pea splits naturally into its 2 cotyledons(parts). This process came into use in the late 19th century. My original recipe for pea fritters was exactly the same the same as my bean fritters recipe but using dried split peas – so I have added the instructions for doing this. This variation is now the one I use the most. 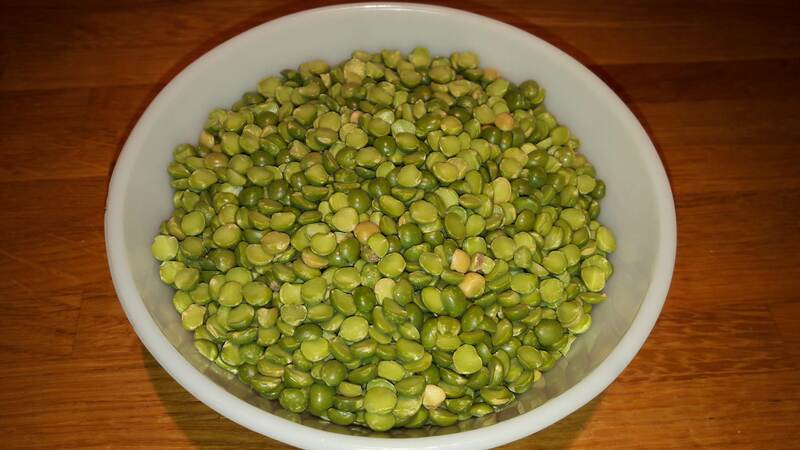 Most packets of split peas give a variety of method for reconstituting the split peas. I do not usually bother to soak them over night. I cover them with water and let them boil gently, this will take at least half an hour. I keep checking on them giving them an occasional stir so they do not stick to the bottom of the pan & adding water if needed if it looks like it is going to run dry. I cook them until they are soft and all the water has been absorbed. If you have added too much water then you will need to strain the excess off. Using a masher, mash the peas until you have a thick smooth thick purée. 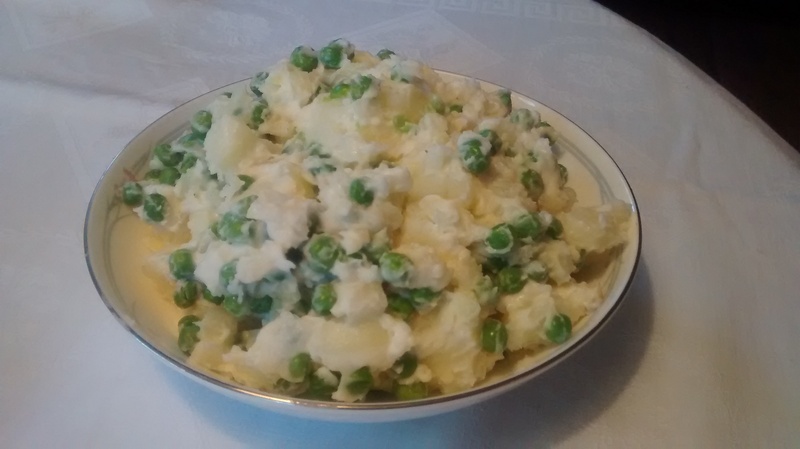 Reconstitute the split peas, mash them and leave them to cool completely. 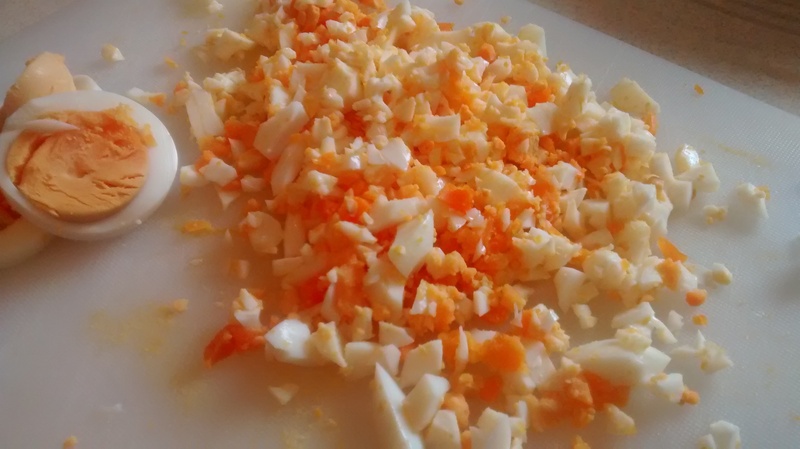 Melt some butter in a frying pan and gently fry the onion, garlic, carrots and the pepper until they are soft, then leave them to cool. Add the Italian mixed herbs, paprika and salt & pepper(& chilli flakes if using) and mix well. 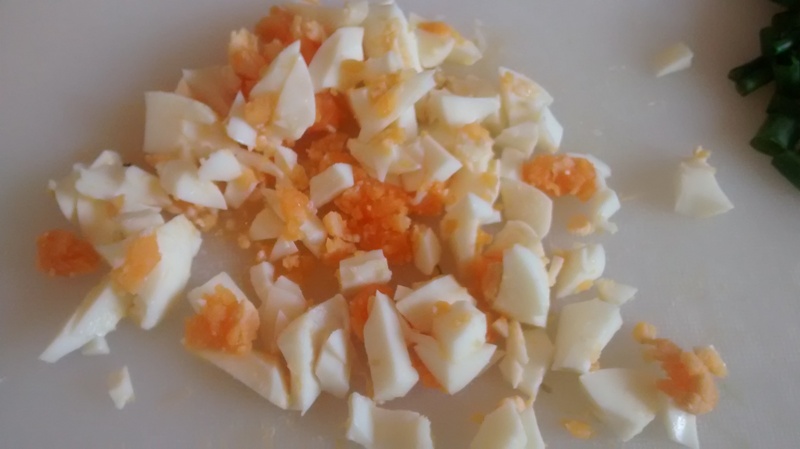 Add the beaten egg and mix thoroughly – if the mixture appears to wet add a spoonful of breadcrumbs. Put some breadcrumbs on a plate or board, make small balls and flatten them and coat all the sides with the breadcrumbs. Shallow fry the fritters in hot sunflower oil till they are golden on both sides. These fritters go well with a crisp salad, salsa or a sauce such as tomato or mushroom. 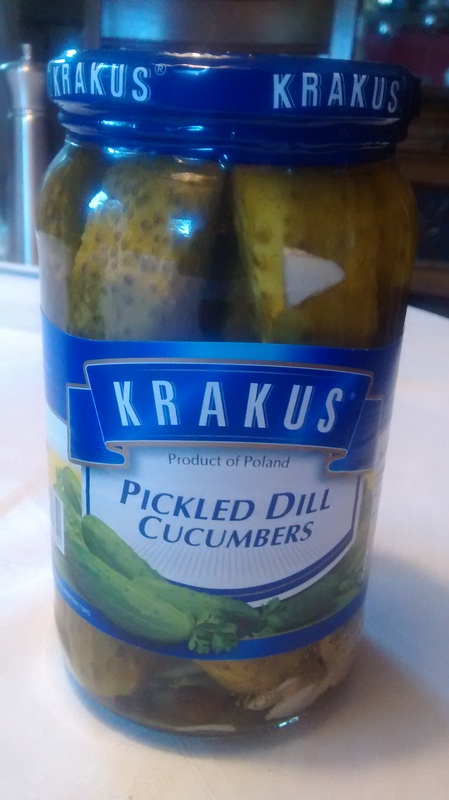 They also go well with meat dishes in a sauce such as gulasz, pulpety or chicken casserole.